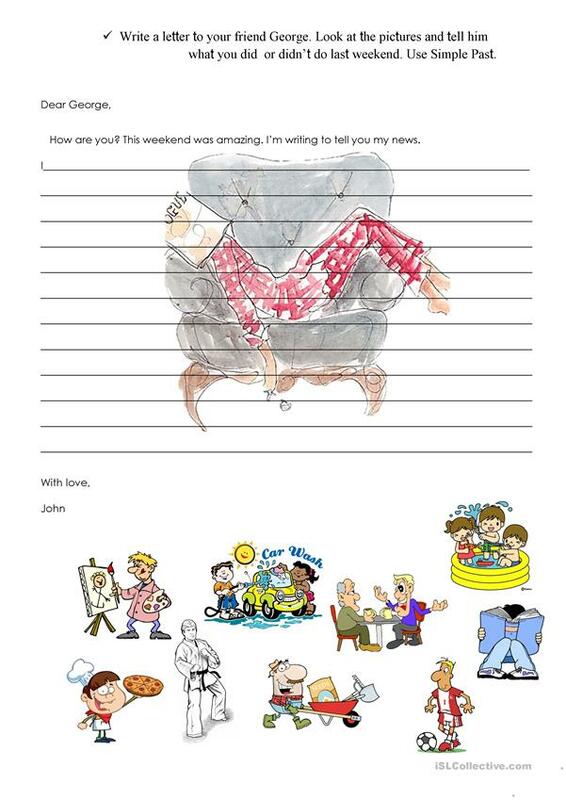 Write a letter about how was your weekend. This worksheet gives you some pictures and the student must write a letter to a friend telling him how was his weekend.This happens by mentioning the activities which each picture represents. This downloadable printable is intended for elementary school students at Beginner (pre-A1) and Elementary (A1) level. It is a useful material for revising Verb tenses in English, and is a valuable material for improving your students' Writing skills. It centers around the theme of Actions.